We understand that coming to the dentist causes a certain amount of anxiety for many of our patients, young and old alike. It may be the fear of the unknown, a difficult personal experience, or stories of a ‘bad experience’ from a friend or family member. It is our goal at Family Dentist Tree to ensure all of our patient’s feel comfortable during their appointments. We would like to offer some tips that may be helpful in preparing your child for a positive first visit to the dentist. We offer Nitrous Oxide (laughing gas) at your discretion and have TV’s on the ceiling with headphones that can help them feel relaxed and comfortable. Although we do allow parents in the treatment rooms at any time during their visit, it has been our experience to have your child come to the treatment room alone, while reassuring them that mom or dad will be right here waiting when we are finished! This is only a recommendation and of course we respect the parent’s wishes if they would like to accompany their child during their visit. If you have any questions or concerns regarding your child’s visit, please do not hesitate to contact us at any time! You can find out more information about first visits here! Posted in Cavities, Children's Dentistry, Preventive Care, SealantsTagged child's first dental visit, children's dental anxiety, Dentist Rochester MN, Family Dentist Tree, how can i make my child not afraid of the dentist?, what to tell my child when visiting the dentist, why is my child afraid of the dentist? My kids are getting to that age where they will start seeing a dentist. I honestly don’t know how they will react. I like your advice though on keeping things simple and telling them what to expect. Thanks for pointing out that your kid should get their first check-up and cleaning around age three. My son is going to be turning three soon, and he’s got a lovely mouth of teeth. I’ll have to find a dentist to take him to that he can get his teeth cleaned from. I really like what you said about understanding that coming to the dentist causes a certain amount of anxiety. For my son he is always worried that he will have a cavity and that he will have to get it drilled out. I think this helps to encourage him to take better care of his teeth and to floss and brush regularly. Hopefully soon though, we will find a dentist that he would love to go to like a family dentist. 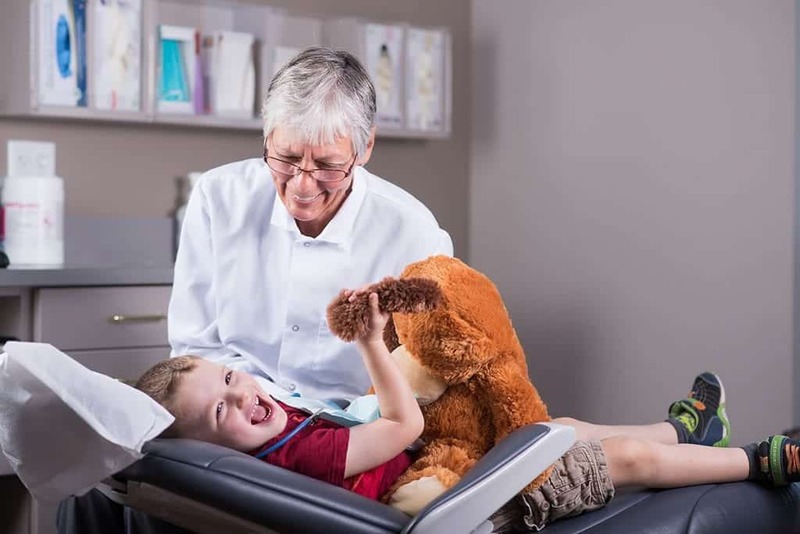 I like your idea if taking the child to the dentist even it is not for their appointment so that they will have a good idea of the place and familiarize themselves. That might work! I will take my twins with me when I go out to look for a dentist for them. That way they will get used to the atmosphere. After all, nothing is scary if you convince the kids that it isn’t. Thanks! I do like how you said that the less the parents explain what will happen during the procedure, the better it is for the kids. I will bear this in mind since I am looking for a dentist currently for my child’s very first visit. Since she has no idea what a dentist is, she is asking me. I’ll be as careful with my answer as I can be. My brother called me last night asking for help with his kids first family dentistry visit. Since he has been looking for a dentist he has been worrying about how his children will react. It would help him to know that avoiding saying, “this might hurt” or other phrases will keep his child calm. I like your tip to bring your young kids with you to a cleaning so that they can get a feel for what being at the dentist is like. This seems like a good way to make it more fun and less weird or scary when they go themselves. My husband and I will have to find a family dentist that we can all go to and share the experience with our son. I have recently moved and now its time to find a new family dentist. I really appreciated how it talked about there may be a fear of the unknown or a difficult personal experience. My kids definitely fall into those categories and I will keep that in mind as I search for the right family dentist. It’s good to know that age three is the general guideline for a child’s first dental visit! I’ve been keeping up on my little girl’s brushing and flossing, but I wasn’t sure when the best time to start bringing her in to the dentist was. Looks like we need to start looking for a great family dentist because she’ll be turning three later this year!